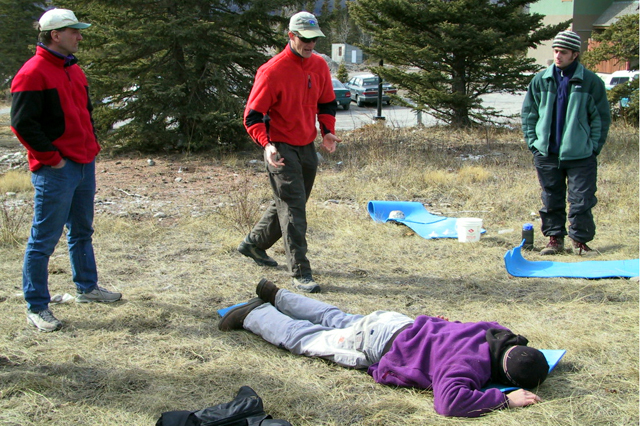 The Wilderness Remote Responder program is a great introduction to Wilderness First Aid. This course is designed for the weekend warrior who participates in activities such as mountain biking, sport climbing or other outdoor sports that are relatively close to roads and towns. 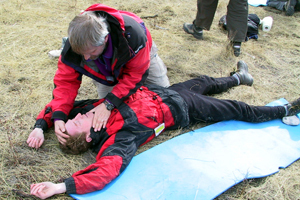 It is taught entirely from the perspective of “delayed help” and enables the participant to perform valuable treatments that will lessen the severity of injuries and contribute to speedier recovery times in the case of an unfortunate incident. 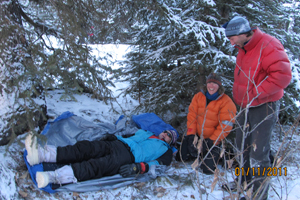 Being fully recognized as meeting the standards set down by the Alberta Workplace Health and Safety for “standard” first aid, it is also a valuable workplace qualification for those working in more remote environments. This course is a combination of theoretical and hands on curriculum. We have a lot of material to cover in our 20 hours of instruction. 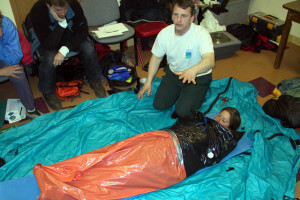 Please come prepared for an intensive weekend of first aid training. This program is 20 hours: first evening – 6:00 pm – 10:00 pm, full days 2 and 3 (8:30 am – 5:00 pm). Mornings are devoted to lectures and quizzes. Afternoons are devoted to practical hands-on sessions. 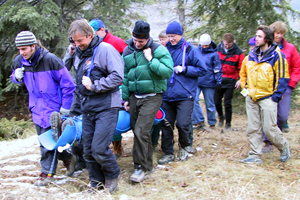 This certification is recognized throughout Canada (including the Alberta Occupational Health and Safety). Successful students will receive a certification card which is valid for 3 years. Successful completion of this course is based on attendance (100% required) and performance on both written and practical tests. Canmore is a 1 hour drive west from Calgary. Greyhound (1 800 661 8747) services Canmore from points east and west along the Trans-Canada Highway. The course is taught by professional first aid instructors and practitioners from Rocky Mountain Adventure Medicine (RMAM). They receive intensive vetting and training. 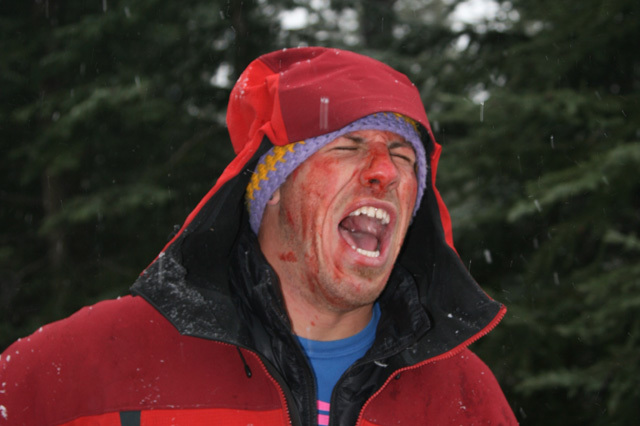 Course quality is continually monitored and assessed by Yamnuska and RMAM. Curriculum is updated as accepted practices and standards evolve. These are not included in the program price. Accommodation in Canmore is not included. 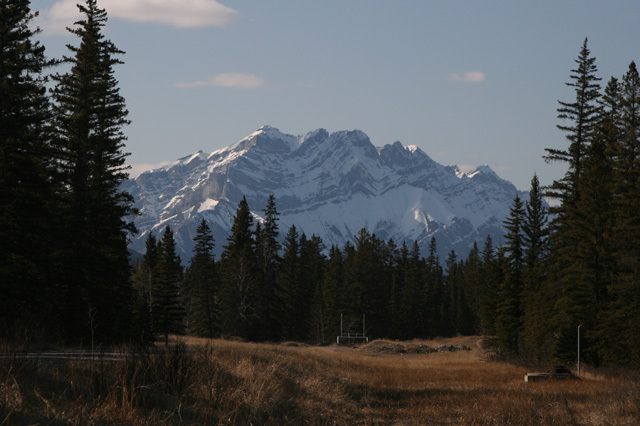 A variety of accommodation options exist in both Canmore and Banff, including campsites, hostels, all levels of hotels as well as condo style accommodation with kitchens or suites. We recommend that you book your own accommodations well in advance as all levels of accommodations in the Bow Valley fill quickly. Appropriate clothing for the location and time of year. Remember that rain or shine, much of our time is spent outside. You will also need something to write with and a notebook. Please book as early as practical to avoid disappointment. We require full payment at the time of booking. This program includes a four hour class on the first evening and then two full days of instruction on days 2 and 3. $305 CDN includes instruction and course materials. GST is extra. 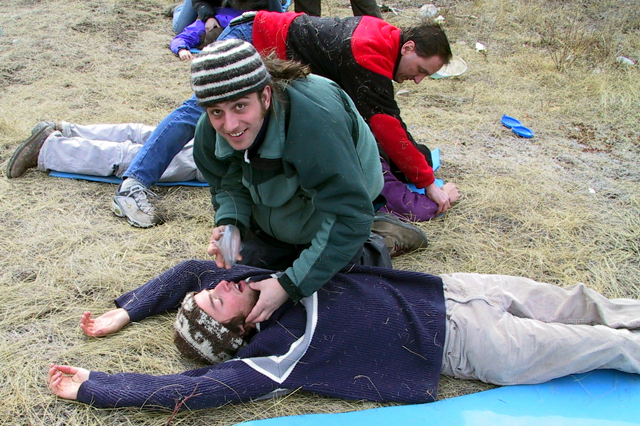 No prior first-aid certification is required for this course. Minimum age is 16 years. 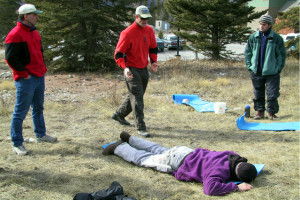 Sportsmen, mountain bikers, climbers, hikers and those who spend time in the backcountry are strongly encouraged to take this first aid training.